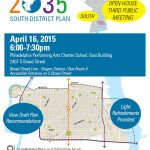 The third and final public meeting for the South District plan will be on Thursday, April 16 between 6-7:30pm. 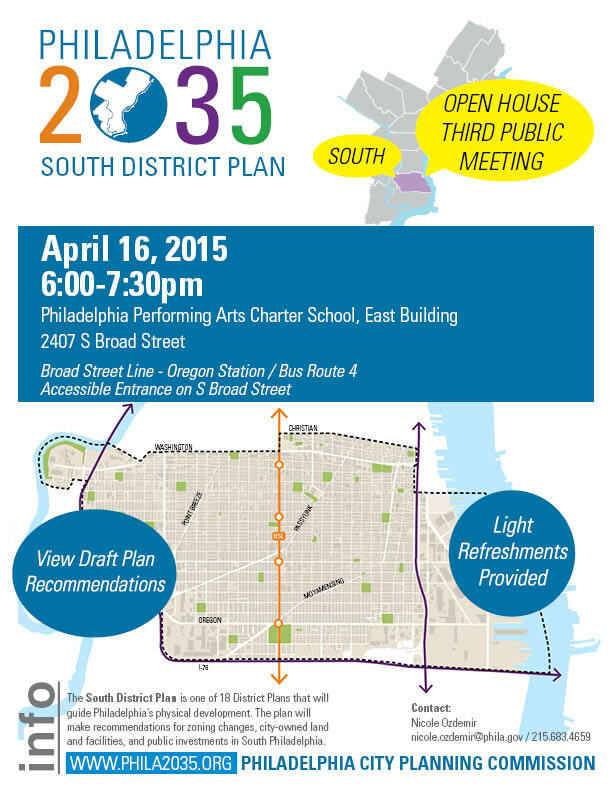 The meeting will be at the Philadelphia Performing Arts Charter School, East Building, at 2407 S Broad Street. Expect refreshments and some raffle giveaways from Tree Philly. See the flyer for more detail!